M City Condos is a new condo development by Urban Capital Property Group and Rogers Real Estate Development Limited currently in preconstruction at Burnhamthorpe Road West, (Burnhamthorpe Road West & Confederation Parkway) Mississauga. The development is scheduled for completion in 2022. Sales for available units start from $200,000. The development has a total of 784 units and 60 stories. AVAILABLE SIZES are from 400 Sqft up to 900 Sqft. Mississauga's future is about enjoying today. That's the goal of M City – the new condominium community located at Burnamthorpe and Confederation Pkwy. Nestled in Mary Fix Creek Gateway, this city-within-a-city combines green open spaces with a tight-knit neighborhood feel, all in downtown Mississauga. And because this community is about bringing family, friends and neighbors closer, everything they need is closer too. With Square One, Sheridan College, banks and libraries a walk away, commercial and public amenities are well within reach. 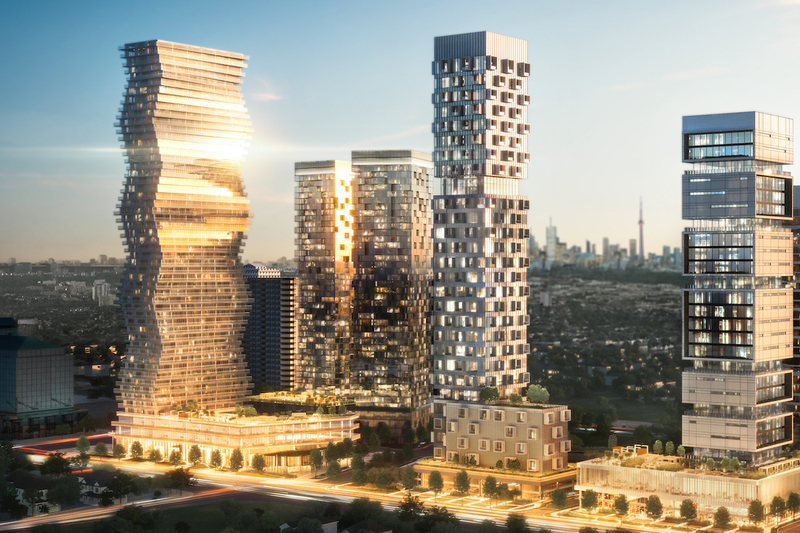 M City is poised to create a dynamic public realm designed to add a new vibe to Mississauga's thriving culture, while providing its residents with the things it needs to grow. With its future set on connectivity, character and sustainability. From 400 sq. ft. To 900 sq. ft.